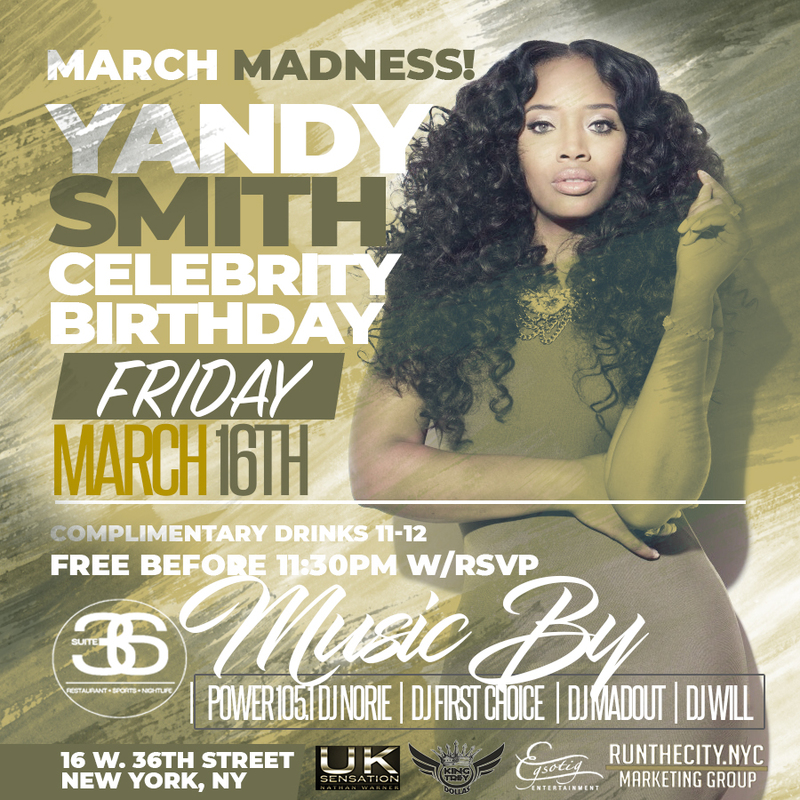 Official Celebrity Birthday Party Flyer for Yandy Smith. EJH Consulting has partnered with NY influencer Pretty Run the City to provide graphic design services for major NY events, including the upcoming celebrity birthday party for Love and Hip Hop NY star Yandy Smith. The party will be held Friday, March 16th along with special guests.